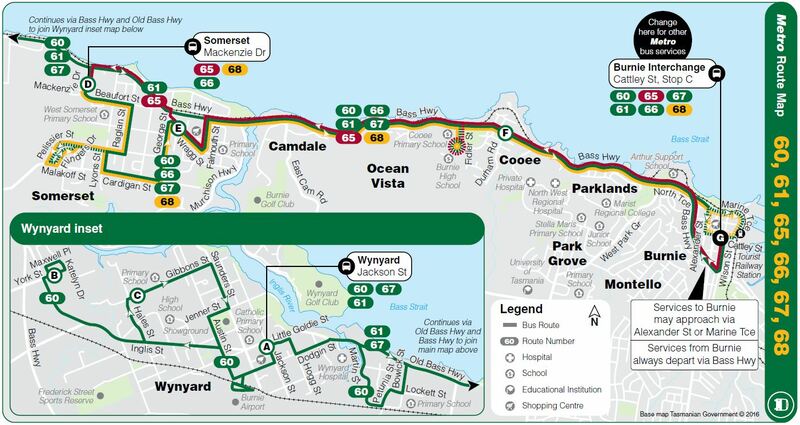 Burnie (Interchange), Camdale, Ocean Vista, Parklands, Somerset, Wynyard. Bus travels via Burnie High School on school days only. Bus travels via Malakoff St, Somserset. Bus operates on school days only. Bus operates during school holidays only.